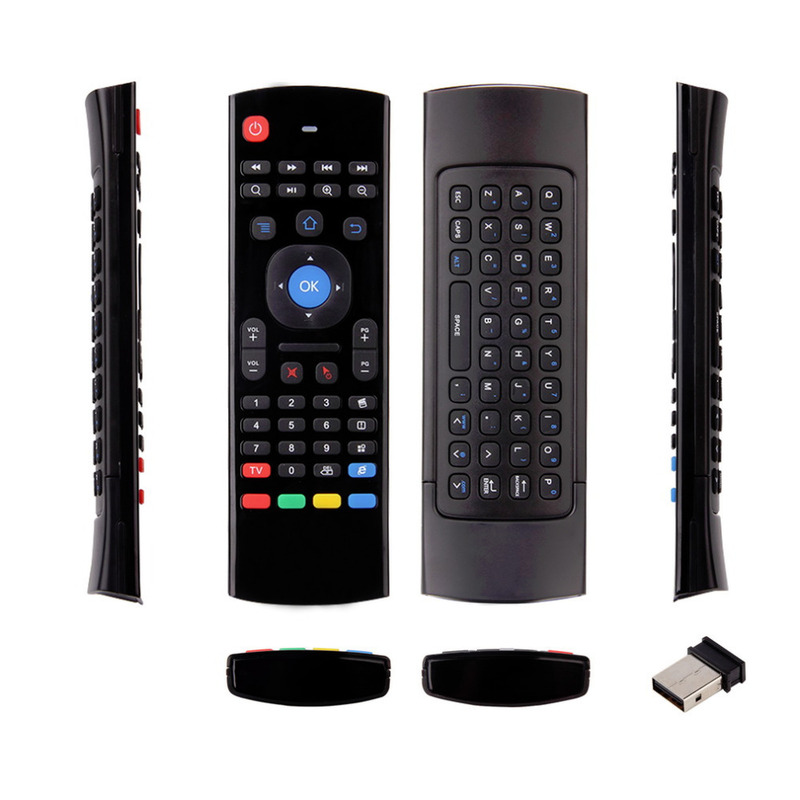 This Air mouse is specially designed for Smart TV, Android TV box, mini PC, HTPC etc. to realize human-computer interactions comprehensively. 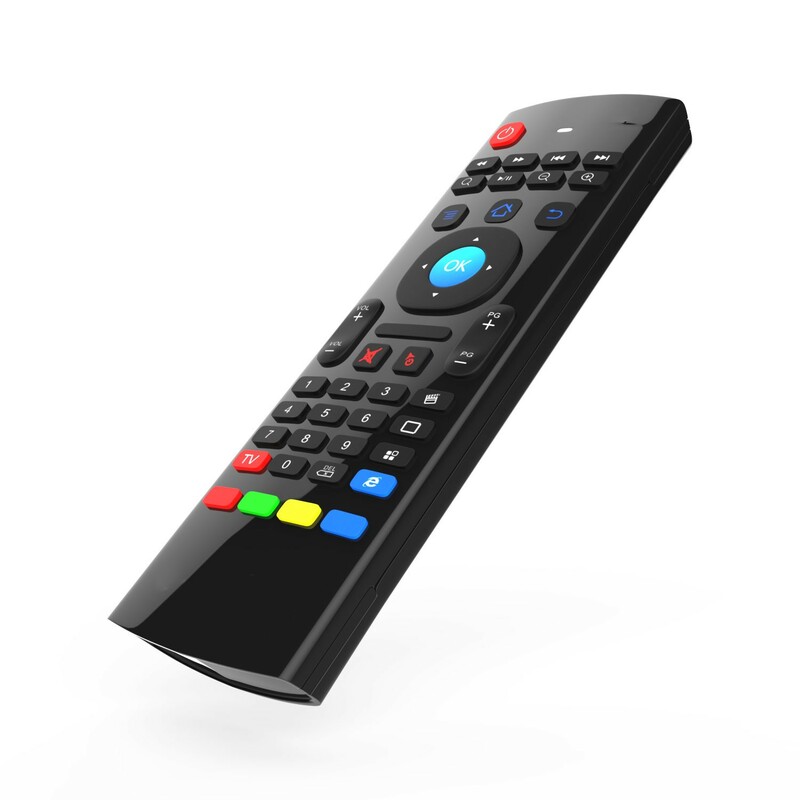 Motion sensor allows mouse to be controlled by waving the remote. This multi-functional USB 2.0 2.4GHz wireless remote control keyboard which consists of 81 keys integrates the wireless keyboard, air mouse and remote controller. Its compact portable design for easy carrying, and it is widely applied to home, school, travel or any other working environment. Order this online from Bovic Enterprises and have it delivered to your doorstep. 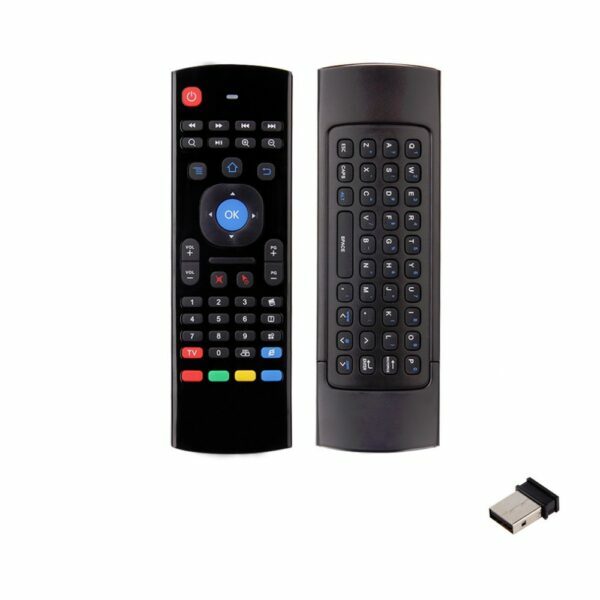 Wireless Keyboard, Air mouse and TV remote. 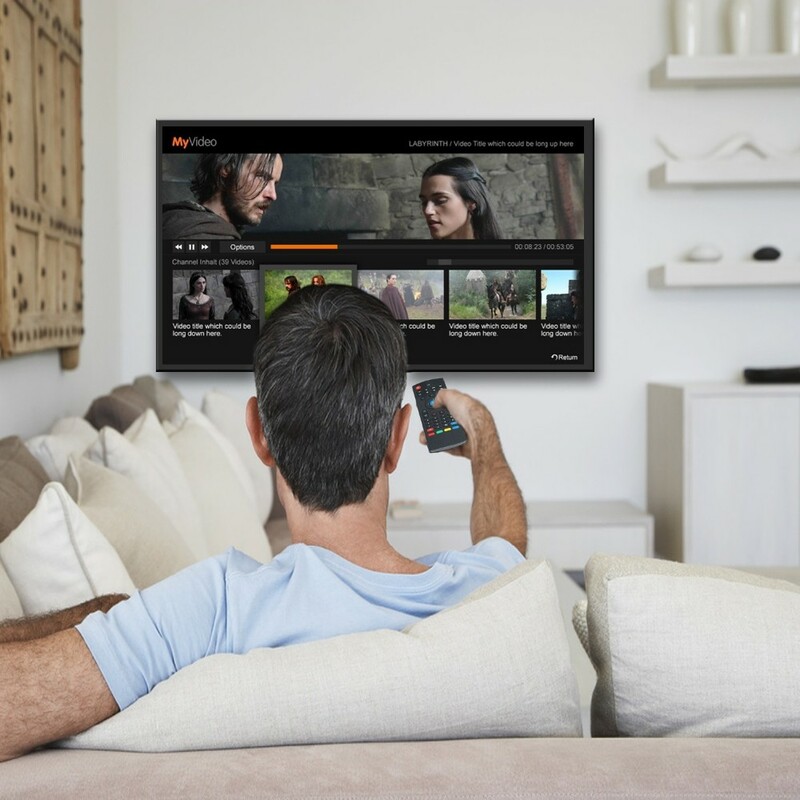 2.4G Wireless transmission, the distance is up to 10 meters. 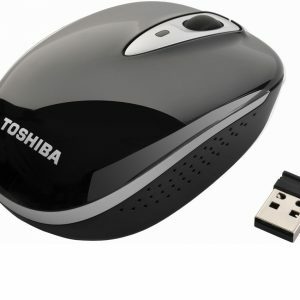 Includes USB 2.0 Receiver Adapter, Supports plug and play, no need to install software. 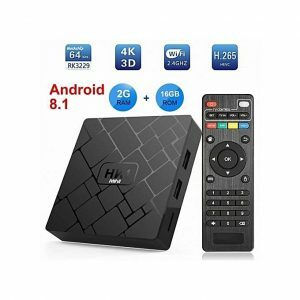 It is specially designed for Smart TV, Android TV box, mini PC, HTPC to realize human-computer interactions comprehensively. 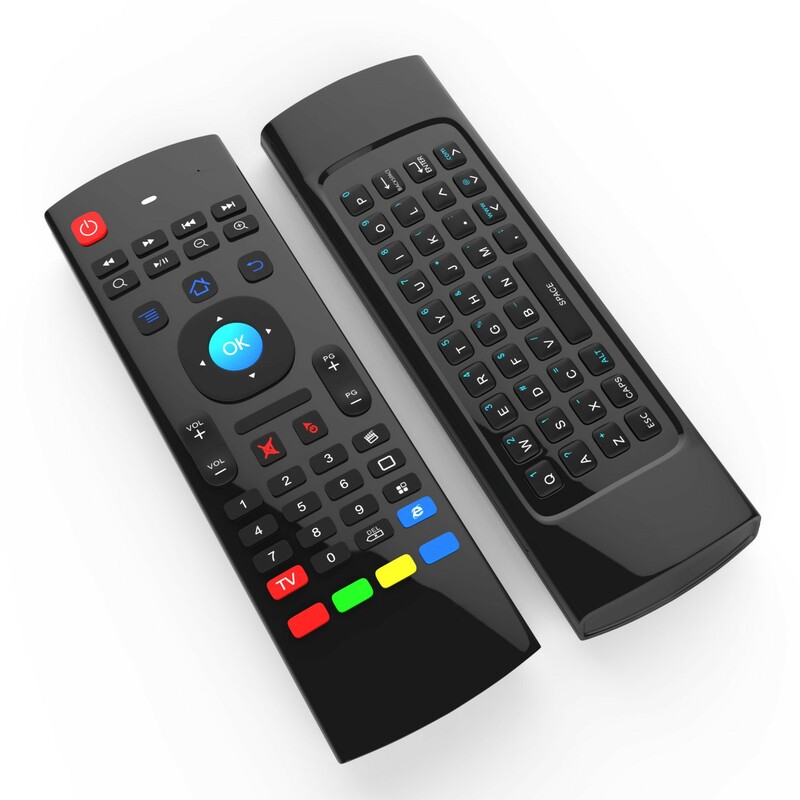 Motion sensor allows mouse to be controlled by waving the remote. 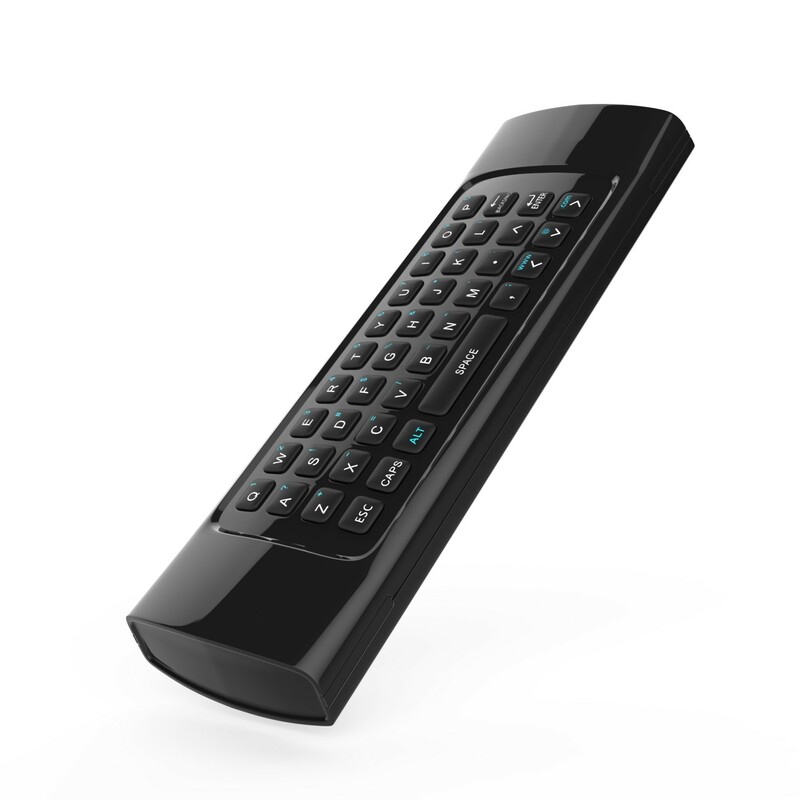 This multi-functional USB 2.0 2.4GHz wireless remote control keyboard which consists of 81 keys integrates the wireless keyboard, air mouse and remote controller. 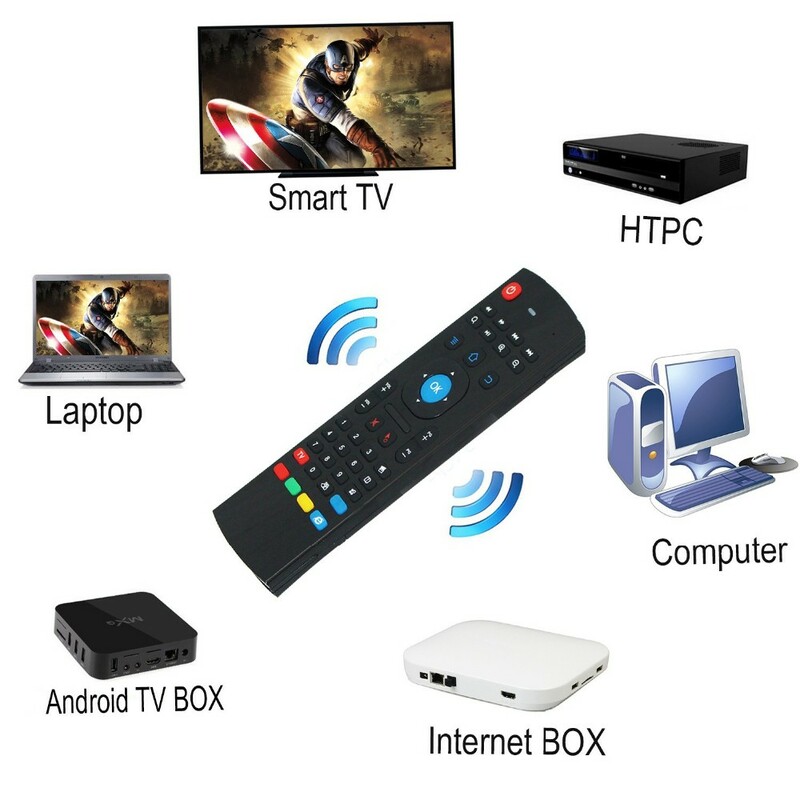 It is specially designed for Smart TV, Android TV box, mini PC, HTPC, etc. Its compact portable design for easy carrying, and it is widely applied to home, school, travel or any other working environment. 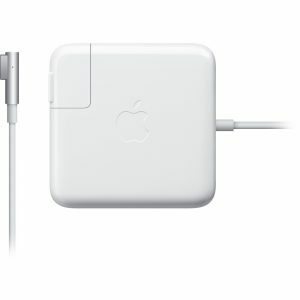 Working Power: Less than 10mA in the working condition without voice. Standby Power: Micro-ampere, almost no power, in line with the European “Energy Star” environmental standard. Transmission and control: 2.4G RF wireless radio frequency technique.